I just came across a very interesting article on phenotypic plasticity in scorpion venom. Scorpion venom is a cocktail of different toxins having different effects on different targets (e.g. one toxin is effective against invertebrates, another against mammals and a third against both). The matter in question in the current study is if scorpions are able to modify the ‘recipe’ of its venom cocktail, and thereby optimizing the fitness benefits of its costly venom, in different environments exhibiting differences in densities and types of predators and prey. The Australian species Hormurus waigiensis (Gervais, 1843) (Hormuridae) was used in this study. 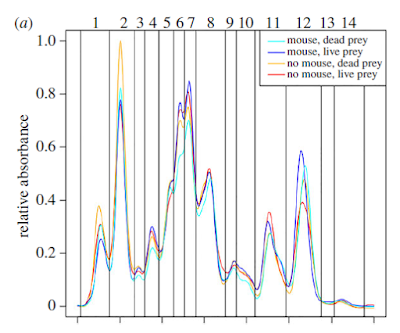 And interestingly, the results showed that simulated predator exposure appeared to decrease relative production of strong invertebrate toxins, while generally increasing the production of a section of the venom profile with activity towards mammalian cells. Put in other words, it seems that at least in Liocheles waigensis, increased interactions with a potential predator will cause the venom to become more effective (dangerous) against the predator and less effective against invertebrate prey. Animals embedded between trophic levels must simultaneously balance pressures to deter predators and acquire resources. Venomous animals may use venom toxins to mediate both pressures, and thus changes in this balance may alter the composition of venoms. Basic theory suggests that greater exposure to a predator should induce a larger proportion of defensive venom components relative to offensive venom components, while increases in arms races with prey will elicit the reverse. Alternatively, reducing the need for venom expenditure for food acquisition, for example because of an increase in scavenging, may reduce the production of offensive venom components. 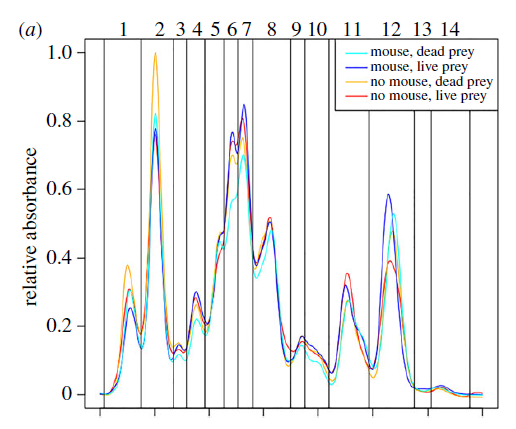 Here, we investigated changes in scorpion venom composition using a mesocosm experiment where we manipulated scorpions’ exposure to a surrogate vertebrate predator and live and dead prey. After six weeks, scorpions exposed to surrogate predators exhibited significantly different venom chemistry compared with naive scorpions. This change included a relative increase in some compounds toxic to vertebrate cells and a relative decrease in some compounds effective against their invertebrate prey. Our findings provide, to our knowledge, the first evidence for adaptive plasticity in venom composition. These changes in venom composition may increase the stability of food webs involving venomous animals. Vorherige News Bundestagswahl, mach ich da mit?